US Holds Syria, Russia Accountable for Chemical Weapons Attack in Douma - Integration Through Media ....! (VOA): U.S. officials are expressing “high confidence” that Syria carried out last week's chemical weapons attack in Douma, promising the West will respond and that all options remain on the table. Despite tweets from U.S. President Donald Trump earlier this week suggesting a missile strike might be imminent, the White House, State Department and Pentagon have been cautious in their language, emphasizing the need to forge an airtight case against the government of Syrian President Bashar al-Assad. By late Friday, there were indications such a case was coming together. “We have a very high confidence that Syria was responsible,” White House press secretary Sarah Huckabee Sanders told reporters at a briefing. The State Department went one step further, claiming the U.S. now had definitive proof. “We can say that the Syrian government was behind this attack,” said spokeswoman Heather Nauert. Despite such confidence, other U.S. officials remained wary, warning that while Syria's use of chemical weapons could not be tolerated, much more was at stake, given the backing it gets from Moscow. “This is a chess game and the Russians are ratcheting up the pressure,” a U.S. official told VOA on the condition of anonymity, given the sensitivity of the situation. Complicating any U.S. response is the presence of Russian and Iranian forces on the ground in Syria. One official said those foreign detachments had “grown and matured” since the U.S. carried out airstrikes against the Syrian government last April after a sarin gas attack on the rebel-held town of Khan Sheikhoun. Russia, long an ally of Assad, has warned that a military conflict could erupt if the U.S. and its Western allies take action in Syria. “We hope that … the U.S. and their allies will refrain from military action against a sovereign state,” Russian Ambassador to the U.N. Vassily Nebenzia said Friday. “We cannot exclude any possibilities, unfortunately, because we saw messages coming from Washington. They were very bellicose,” he added. Also Friday, Moscow alleged it had “proof that testifies to the direct participation of Britain” in staging the chemical attack in Douma. Britain pressured the White Helmets, volunteers and activists who serve as first responders in rebel-held areas, to stage the attack, Defense Ministry spokesman Igor Konashenkov said. 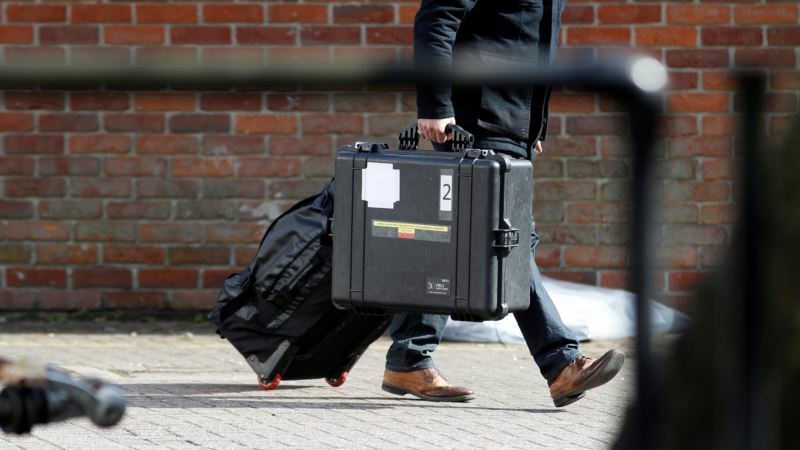 Inspectors from an international chemical weapons watchdog, the Organization for the Prevention of Chemical Weapons, are set to begin collecting samples from Douma on Saturday. But the group said that while it could possibly determine what types of chemicals were used in the attack, it would not be able to assign responsibility. VOA's Steve Herman at the White House and Margaret Besheer at the United Nations contributed to this report.